There’s no better way to beat the heat of summer than to dream of cooler weather and start planning a 2018 holiday vacation. 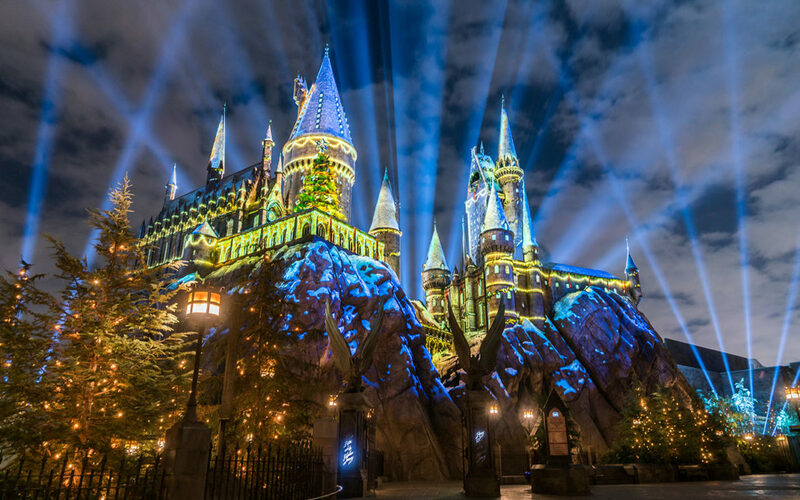 Here are 6 reasons why it’s never too early to plan for the Holidays at Universal Orlando Resort, November 17-January 6. During the summer, nothing beats a cold or frozen Butterbeer. 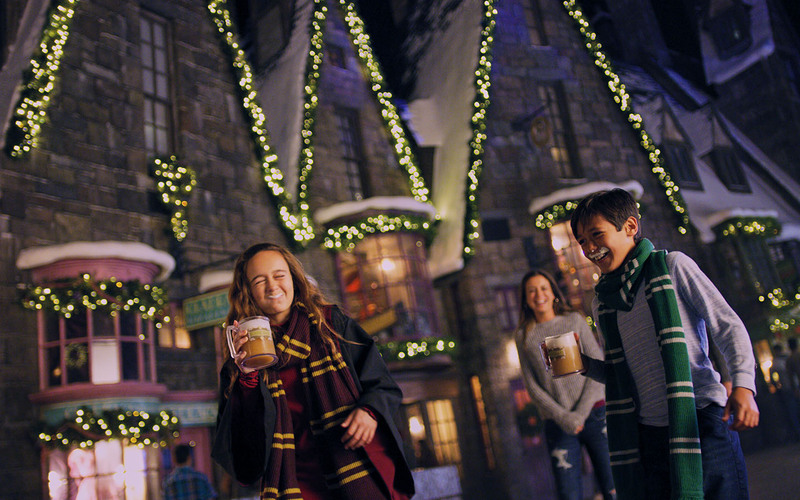 But during the holidays, hot Butterbeer is a seasonal favorite for witches, wizards and Muggles alike. 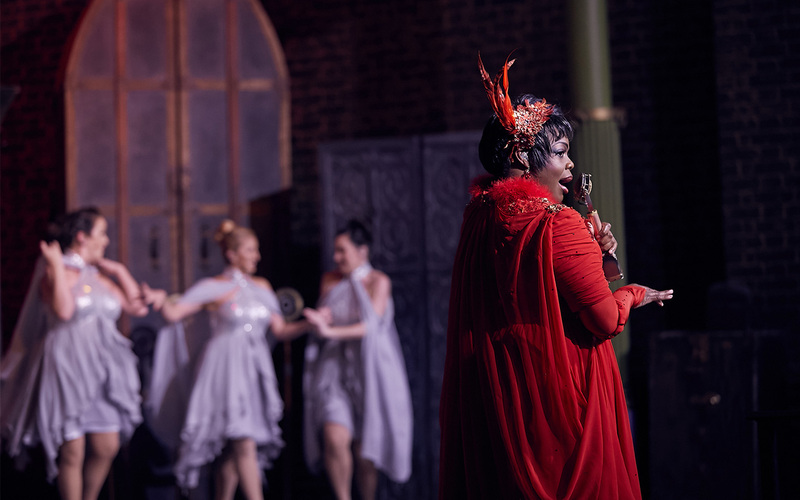 Grab a cup and cozy up as you watch special holiday-themed shows from the Frog Choir and Celestina Warbeck and the Banshees. Admire the festive window dressings as you stroll through The Wizarding World of Harry Potter – Diagon Alley. 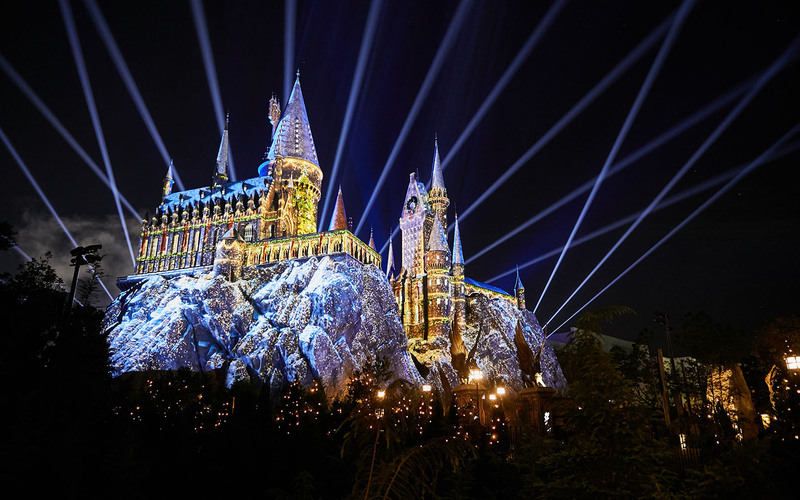 When the sun sets, witness The Magic of Christmas at Hogwarts Castle – a wonderous nighttime projection light show in The Wizarding World of Harry Potter – Hogsmeade. 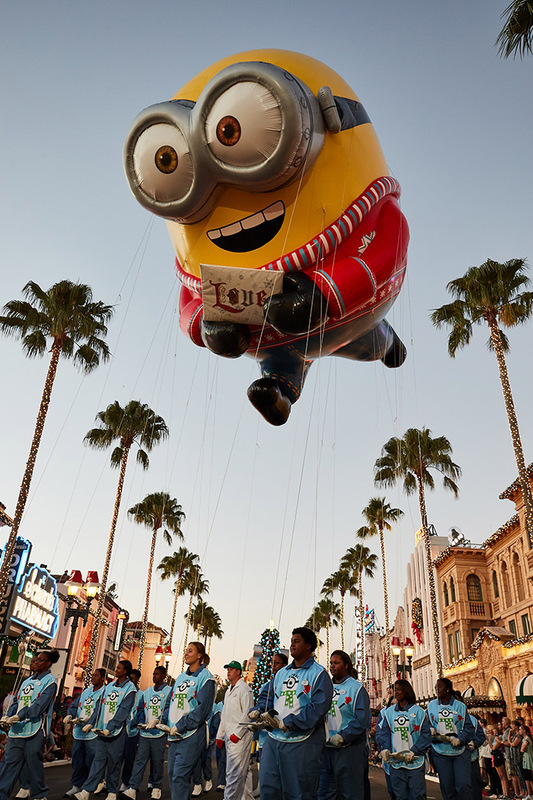 Universal’s Holiday Parade featuring Macy’s brings out the child in all of us. Gaze upon larger-than-life balloons and incredibly detailed floats as more than 100 choreographed performers take part in this family-favorite parade. Minions from Illumination’s Despicable Me, fairytale characters from Shrek, and wild animals of Madagascar come together for this celebration of epic proportions. Who-liday joy is all around during Grinchmas at Universal’s Islands of Adventure. The centerpiece of the celebration is the “Grinchmas Who-liday Spectacular” – a live retelling of Dr. Seuss’s “How the Grinch Stole Christmas!” You can even meet some of the Whos and snap a photo with the Grinch himself. For breakfast with a side of malarkey, make reservations to attend a character breakfast with The Grinch at Circus McGurkus Cafe Stoo-pendous. What’s Christmastime without music? 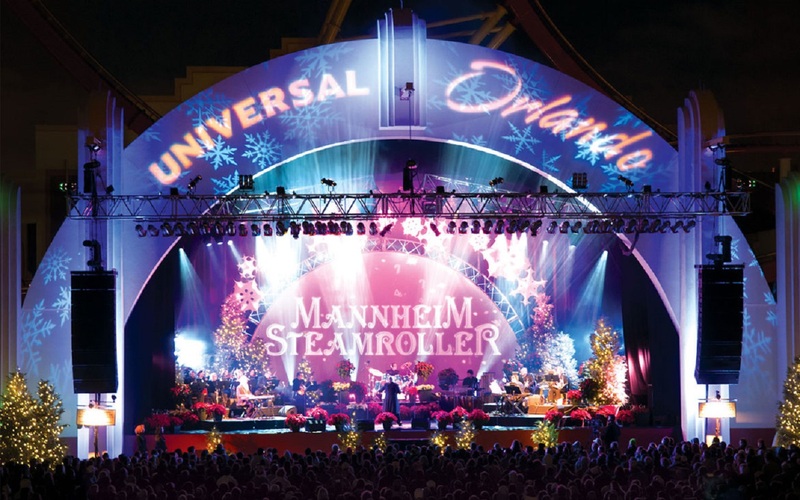 Performing on select nights, Mannheim Steamroller takes over the Music Plaza Stage at Universal Studios Florida to fill the air with the sounds of the season. 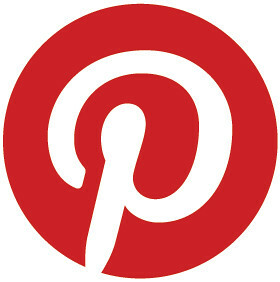 With their modern take on classic holiday hits, you’ll get into the holiday spirit in no time. 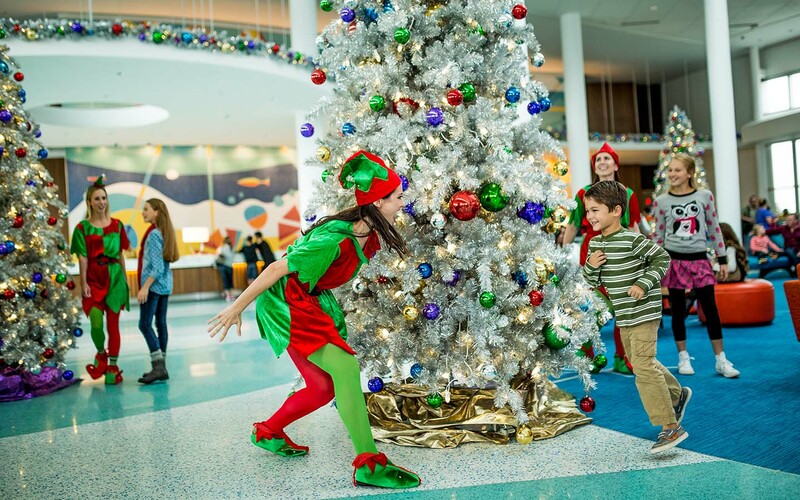 The on-site resort hotels at Universal Orlando pull out all the stops for the holidays with festive décor, tree lightings, yummy treats and holiday activities. From cookie decorating and carolers to visits with Santa, there is seasonal fun for the entire family to enjoy. The celebration continues into the new year. Dance the night away on Orlando’s biggest outdoor dance floor with a live DJ as you party your way into 2019 during EVE at Universal CityWalk. Enjoy signature cocktails and unlimited cuisine as you rock out to live music at some of Universal CityWalk’s six party zones and lively clubs. The evening culminates with dazzling fireworks and a champagne toast at midnight. Note that this is a separately ticketed event for guests ages 21 and older. Click here for full details and restrictions. Come celebrate the holidays with your favorite characters and create special memories that will last a lifetime. 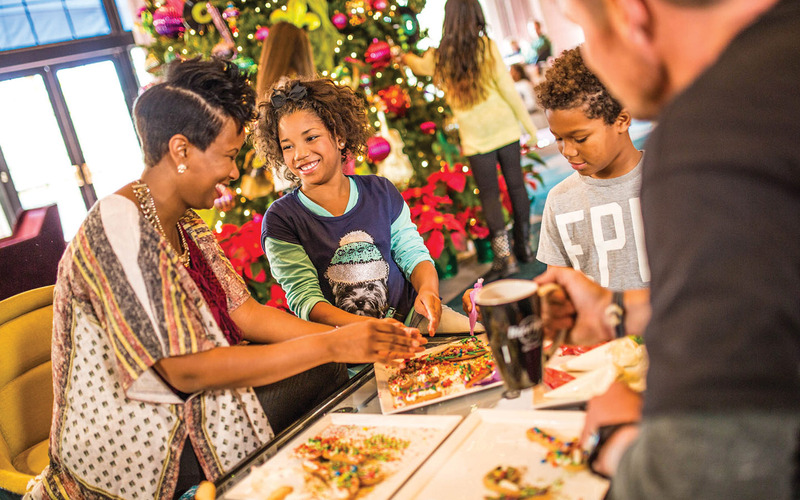 Start planning now for a #HolidayLikeThis to give your family the gift of holiday magic. 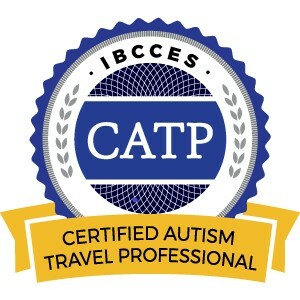 This entry was posted in Florida, Orlando, United States, Universal Orlando Resort and tagged Holidays at Universal Orlando Resort, Universal Orlando Resort on September 26, 2018 by siera. 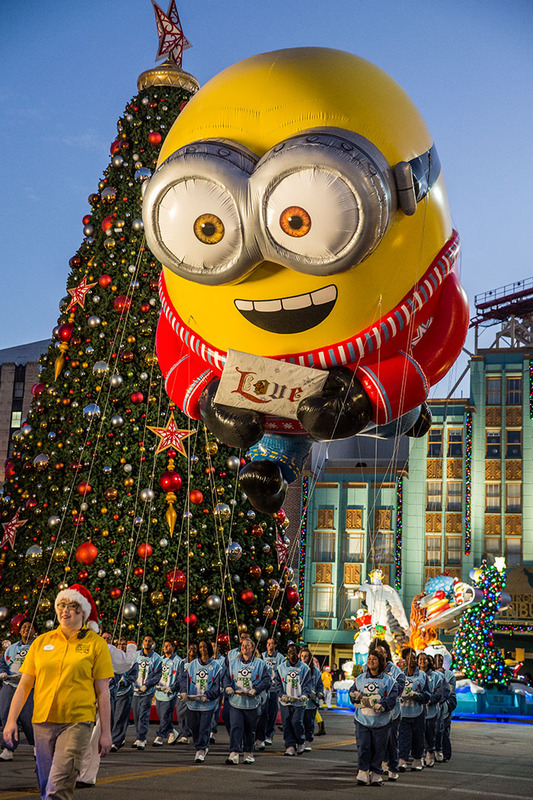 If you missed the incredibly-popular holiday festivities last year at Universal Orlando Resort, we have great news for you—it’s all returning this year! 2018 Holidays at Universal Orlando Resort will run from November 17, 2018, until January 6, 2019. 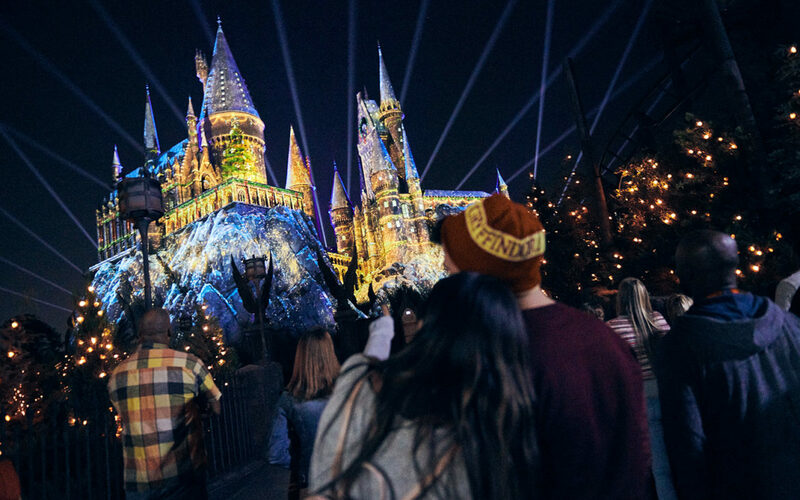 Start planning your trip now for 2018 Holidays at Universal Orlando Resort—and get ready to take your holidays to the next level. This entry was posted in Florida, Orlando, United States, Universal Orlando Resort and tagged Christmas in the Wizarding World of Harry Potter, Grinchmas, Holidays at Universal Orlando Resort, Universal Orlando Resort, Universal's Holiday Parade on March 28, 2018 by siera.